The audio port of a smartphone is designed to send and receive audio but can be harnessed for portable, economical, and accurate data collection from a variety of sources. While smartphones have internal sensors to measure a number of physical phenomena such as acceleration, magnetism and illumination levels, measurement of other phenomena such as voltage, external temperature, or accurate timing of moving objects are excluded. The audio port cannot be only employed to sense external phenomena. It has the additional advantage of timing precision; because audio is recorded or played at a controlled rate separated from other smartphone activities, timings based on audio can be highly accurate. 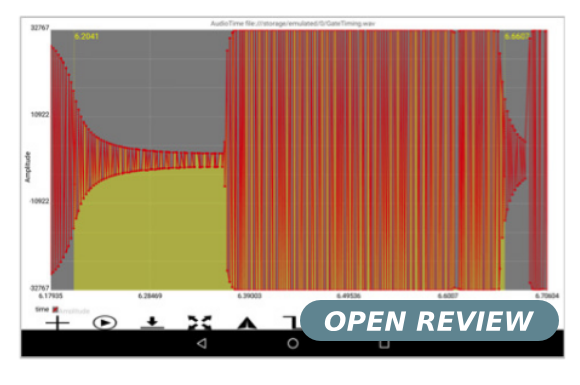 The following outlines unpublished details of the audio port technical elements for data collection, a general data collection recipe and an example timing application for Android devices. This paper, by K Forinash, R Wisman, is licensed under the Creative Commons Attribution License 4.0.